alternative to typical rooftop rack-mounted solar panels. Say goodbye to those clunky solar panels with rack and brackets that are installed above your roofing shingles. The GAF DecoTech™ System is a low profile solar system that's actually integrated into your roofing system. What you get is a sleek, beautiful solar roof - at a price you can afford. Designed by roofing experts to integrate into your roof! GAF designed the DecoTech™ Solar System with the integrity of your roof in mind. We made it low profile and designed it to integrate right into your roofing system. 3. 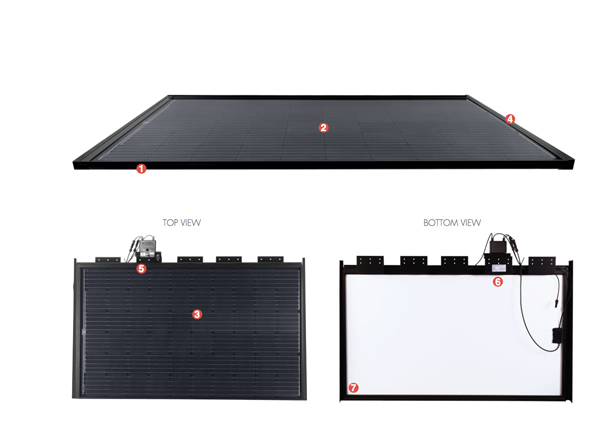 High performance ...Best-in-class high-output panels for optimal power output. 5. Looks neat ... No exposed wires! 6. Integrated technology ... Cutting edge to maximize and monitor electrical power output. 7. Protected perimeter ... With counter flashing and step flashing to help protect against moisture and leaks; also provides excellent resistance against animal infestation. 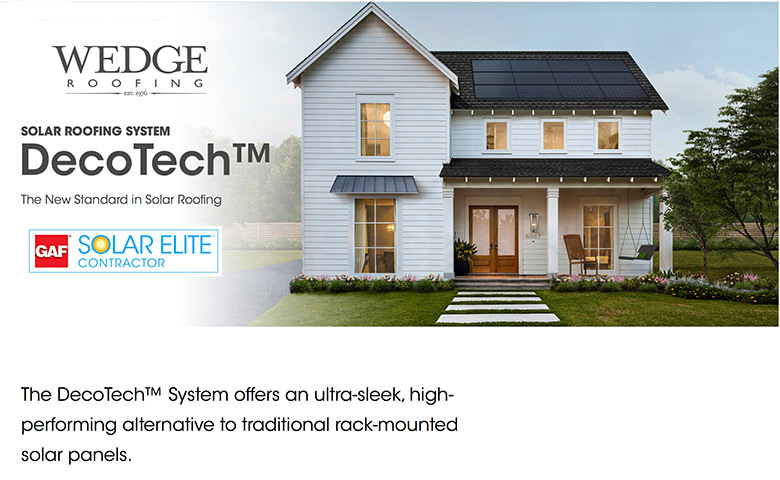 The DecoTech™ system is integrated into your roof - giving you a sleek, low-profile look, with less chance for pests (or the weather) to get under your system. Designed in stunning Deco Black, it looks like an integrated part of your roof - not an eyesore. GAF Solar Elite Contractors™ are trained solar contractors as well as certified GAF Master Elite Roofing Contractors®. Wedge Roofing understands the installation of solar systems as well as how to protect the integrity of your roof. We are committed to performing a quality solar installation while providing you with exceptional service and communication throughout the entire process. Wedge Roofing installs the GAF SolarTech System in Marin County, Sonoma County, San Francisco and Napa. Does the DecoTech™ System produce as much electricity as a rack-mounted system? The DecoTech™ System uses best-in-class standard modules, which allows it to produce the equivalent amount of electricity when compared to typical rack -mounted systems. How do I know if I'm a good candidate for the DecoTech™ System? As a certified GAF Solar Elite Contractor™, Wedge Roofing can perform a site survey and walk you through the solar process. How big will my DecoTech™ System be? The size of the system depends on factors such as your energy consumption, amount of roof space, and the percentage of energy offset. The best way to determine the size of your system is to contact Wedge Roofing to conduct a preliminary assessment. The DecoTech™ System is covered by Deco-Tech™ limited warranty, which provides coverage for manufacturing defects in the Deco-Tech™ System. You may also be eligible for the GAF Golden Pledge® Ltd. Warranty with GAF Golden Pledge® Ltd. Warranty Addendum, which cover manufacturing defects and misapplication of both the DecoTech™ System and your roofing system. You should review these documents carefully to fully understand your warranty coverage and restrictions. How does the Solar Investment Tax Credit Work? 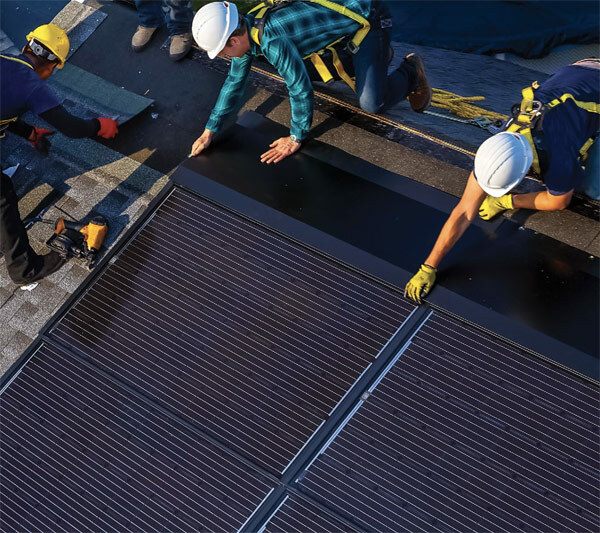 Currently, the Federal Solar Investment Tax Credit offers a 30% reduction in federal income taxes for the cost of residential and commercial solar installations. Can I finance my system? What maintenance is there with the DecoTech™ System? The DecoTech™ System normally requires no maintenance. In certain dry climates, DecoTech™ panels may need to be hosed down occasionally for optimal performance. What happens to solar panels when it's cloudy or raining? Rooftop solar panels will still work even when the light is reflected or partially blocked by clouds. Rain actually help to keep your panels operating efficiently by washing away any dust or dirt. 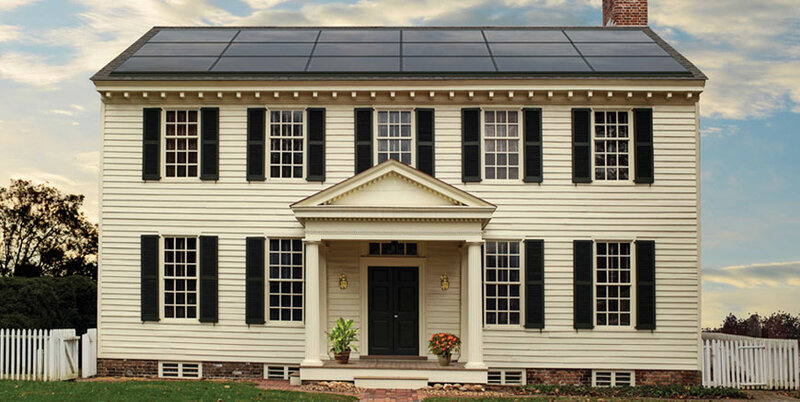 Schedule Your Free Estimate for a GAF DecoTech™ Solar Roofing System! "Roof looks great, and all employees were very professional and kept all areas clean, thank you "."